Kevin Washburn, former U.S. assistant secretary for Indian affairs from 2012 to 2015 under President Barack Obama, will discuss several law and policy developments during the Obama Administration that have advanced the ongoing renaissance in tribal self-governance at the monthly Heard Museum Guild membership meeting, 9:30 to 11:30 a.m. Wednesday, Oct. 19, in the Heard’s Steele Auditorium. Washburn, today a law professor at the University of New Mexico School of Law, will also provide some perspectives on policy-making in Washington, D.C. Anyone interested in Guild membership is invited to attend. Coffee will be served at 9:30 a.m., followed by the Guild monthly business meeting at 9:45. Professor Washburn’s remarks are expected to begin at 10 a.m. Afterward, at approximately 11 a.m., Guild members and visitors will socialize and sign up for various volunteer positions and Guild short courses as well as purchase note cards. As assistant secretary for Indian affairs, he was the highest ranking official in charge of federal Indian policy for the United States government, overseeing nearly 8,000 employees of the Bureaus of Indian Affairs and Indian Education, and executing a budget as high as $2.8 billion. In this role, he testified approximately 30 times before Congressional Committees and worked on a daily basis with the White House. He also appeared several times before the United Nations in Geneva to defend our nation’s adherence to international treaties. Washburn graduated from Yale Law School, and has been a trial attorney at the Department of Justice in Washington, D.C., and a federal prosecutor in New Mexico. He also served as the general counsel of the National Indian Gaming Commission, a federal regulatory agency in Washington, D.C. As an academic, he has taught law at the University of Arizona, the University of Minnesota and Harvard Law School and served as the dean of the University of New Mexico School of Law. He also has several books to his name, and is a co-author/co-editor of the Cohen Handbook of Federal Indian Law. 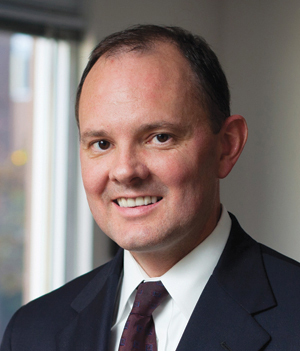 Washburn began his legal education in 1990 at the Pre-Law Summer Institute at the University of New Mexico. He and his wife and kids are citizens of the Chickasaw Nation of Oklahoma. Kevin Washburn, former U.S. assistant secretary for Indian affairs, speaks to the Heard Museum Guild Oct. 19.